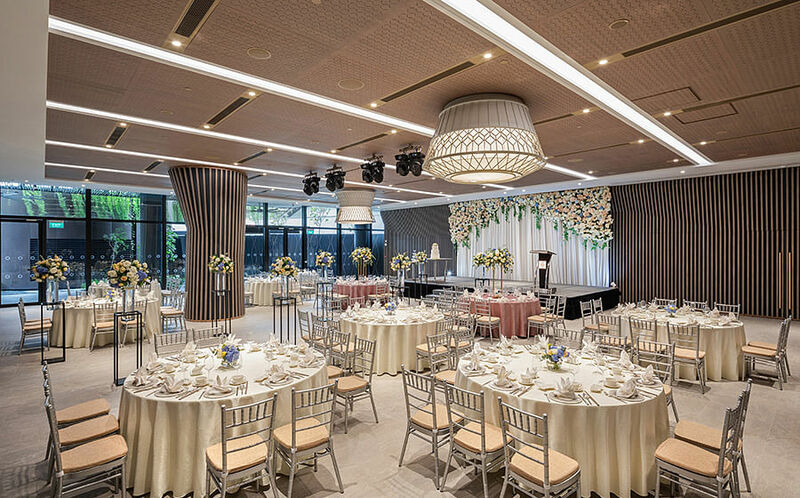 If a wedding with a view of the sea is on the cards, the spanking new Village Hotel at Sentosa and The Outpost Hotel’s elegant decor, serene views and enticing packages will leave you floating on cloud nine. 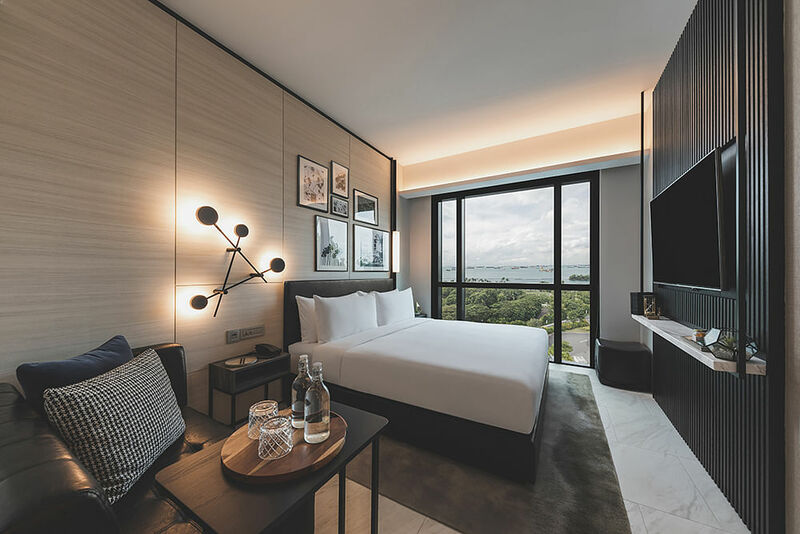 Just a short 2-minute stroll away from Imbiah monorail station and the Sentosa Merlion, Village Hotel at Sentosa, The Outpost Hotel and The Barracks Hotel (to be opened in August 2019) are three newly unveiled, connected properties located just right beyond the Sentosa Causeway. They’re also a short drive away from the city centre, making it a convenient location for your guests, yet one that offers a relaxed antidote to the bustle of the city. Organic splendour meets New Age living at the Village Hotel at Sentosa. White and wood furnishings, which run throughout its 606 tastefully furnished rooms, lend a feeling of calm and serenity. From each of the rooms, you’ll get views of either the tropical garden, the sea, pool deck or the Sentosa Merlion. For a relaxing dip, there's the terraced Pamukkale Pool overlooking the sea, and even a winding Lazy River Pool! The upscale Outpost Hotel greets guests with striking, sophisticated black and white decor, a contemporary interpretation of colonial architecture. The hotel is catered exclusively for adults so you can pay each other undivided attention. We love the thoughtful, luxurious touches too - each room comes with a filtering system so you get drinking water, and you’ll even be able to customise your own welcome snacks and beverages upon check-in! 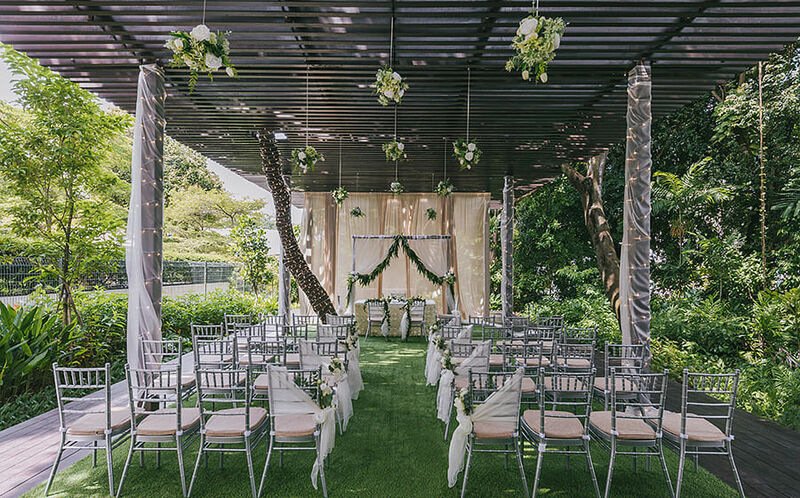 Or if you’re looking for a charming garden setting for your solemnisation ceremony, there’s the cosy Outdoor Pavilion at The Outpost Hotel’s Events Centre, a standalone conserved heritage building. The Revelry Hall at level two of the Events Centre exudes old world colonial romance with its beamed, 4.5m-high ceiling, glamorous chandeliers and decadent interiors that can house approximately 160 guests in both round table or western long table setup. There’s also a spacious balcony that can double as a space for pre-event cocktails, as well as a bridal changing room furnished with a restroom and wardrobe! Dreaming of a magical reception outdoors? Fall in love with the spacious Heritage Courtyard that is situated between the modern façade of Village Hotel at Sentosa, and the Mess Hall’s (an ex-military outpost that has been rejuvenated and offers new retail and F&B concepts) white colonial-style exterior. 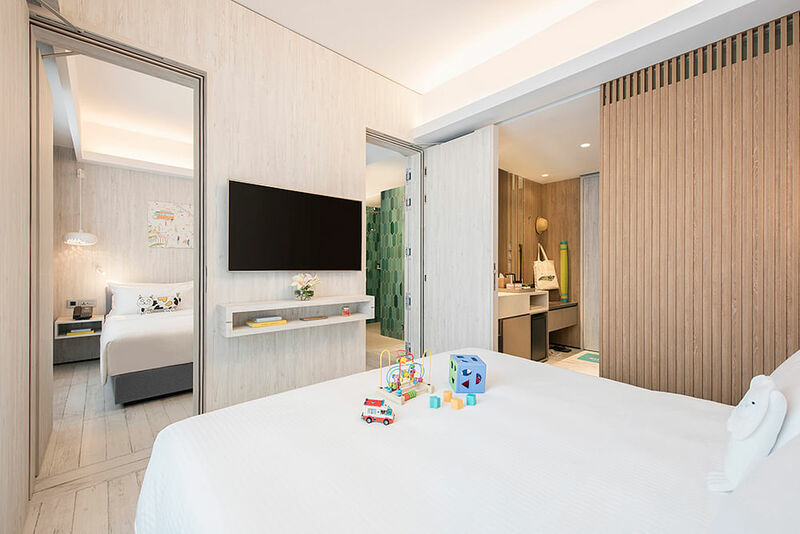 The expansive Commune at Village Hotel at Sentosa is decked in a light palette of off-white and almond hues, sleek architectural elements and natural light, evoking an urban chic yet welcoming ambience. With over 778 sqm of floor space, it can comfortably seat up to 320 guests, and overlooks the verdant greenery of The Heritage Courtyard. Check out the gorgeous venues for yourself! 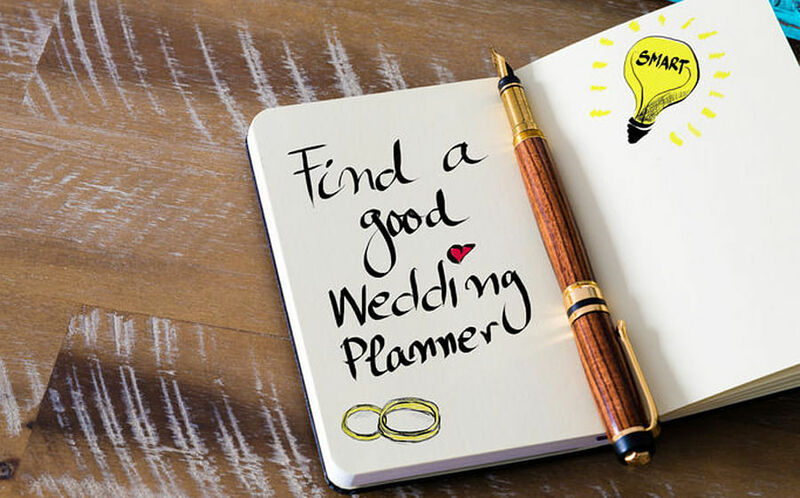 Admission to wedding show and Sentosa island is complimentary, and there will be some showcase exclusive add-ons to the packages and lucky draw prizes including a 5D4N all-inclusive travel package to Mauritius. Village Hotel at Sentosa, The Outpost Hotel and The Barracks Hotel are at 10 Artillery Avenue, Sentosa Island, Singapore 099951. For more enquiries, call +65 6512 2202 or e-mail events.sentosa@fareast.com.sg. WIN! A 5D4N all-in inclusive package to Mauritius! Plus irresistible wedding packages and great giveaways!